The task of replacing the iconic figure of Arsene Wenger after his 22 years in charge would be a daunting one regardless of the circumstances but Unai Emery's job is rather more complicated than that. At least David Moyes was inheriting a title-winning team when Sir Alex Ferguson handed over the reins at Manchester United. Arsenal are adrift of their rivals. The Gunners finished a distant sixth this past season, far closer in terms of points to bottom-club West Brom than champions Manchester City. Twelve behind Liverpool. Seven points shy of struggling Chelsea. As close to Everton as Tottenham. Not so much a freak season, more like a continuation of the club's slow but steady decline under Wenger. It will not be easy to turn that around. Arsenal require more than one or two additions to remove the weak links, they need an overhaul. This squad is not packed with top-class talent and nor is it a particularly young one either - the average age of the starting line-up during the 2017/18 Premier League season was actually older than the five teams above them. Wenger is not the only one to move on. Boro Primorac and Gary Lewin are among a number of long-serving staff to depart alongside the Frenchman. They will be replaced by a quartet of trusted Emery advisors. Juan Carlos Carcedo will serve as assistant manager, while coach Pablo Villanueva, fitness coach Julen Masach and analyst Victor Manas will also join him. But there are still calls to be made. Steve Bould and Jens Lehmann remain at the club for now with the latter expected to be the goalkeeper coach. Talks with Bould are planned for next week and given that Mikel Arteta, Thierry Henry and Patrick Vieira were all considered for the top job, there will be an appetite to retain this link with the club's former players. The decisions about the future of the playing staff are even more important. Jack Wilshere's contract expires next month but he is understood to be close to agreeing a new deal. The future of Aaron Ramsey will be a bigger concern. The Wales international is out of contract next year and did not feature in the promotional material for Arsenal's recent kit launch. The sale of the 27-year-old midfielder could help raise significant funds to add to that modest £50m transfer kitty but sources suggest Ramsey will be a key part of Emery's plans. If that is the case then it means that tying down the player's future beyond next season needs to be made a priority to avoid the risk of him leaving cheaply in 2019. The new structure has shifted responsibility away from one man with Emery now in the role of head coach. His job will be to work closely with head of recruitment Sven Mislintat and head of football relations Raul Sanllehi to identify transfer targets. Emery might not be the central figure but signings could still be the difference between success and failure. Mislintat has already brought in Pierre-Emerick Aubameyang and Henrikh Mkhitaryan, players he knows from Dortmund, and Sokratis Papastathopoulos is another who he could look to bring in again. But Emery will have ideas of his own and has a history of working well with sporting directors, having formed a good partnership with Monchi at Sevilla. Given that funds will be limited, there will be an onus on Emery to fill any gaps in the squad by bringing through young talent. Arsenal chief executive Ivan Gazidis stressed from the outset that Wenger's successor would need to continue the tradition of youth development and reiterated this point in announcing Emery's appointment, highlighting his track record. David Silva and Juan Mata progressed under Emery and there is talent at Arsenal too. 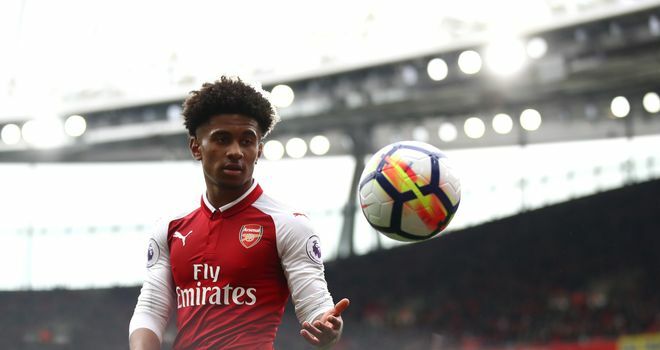 They have just won the Premier League 2 title with Reiss Nelson named as the competition's player of the season and others such as Konstantinos Mavropanos, Joe Willock, Eddie Nkhetiah and Ainsley Maitland-Niles also impressed. He will be expected to utilise them. Of course, the most important thing for Emery to address is to improve results on the pitch. There will be a responsibility to do so while retaining the club's trademark style. "Unai plays an exciting, progressive style of football that fits Arsenal perfectly," said Gazidis. But he will need to add qualities that have been lacking too - notably some steel away from home. The Gunners lost seven consecutive Premier League away games in 2018, only picking up their first points on the final day at Huddersfield. Emery himself once went an entire league season at Sevilla without winning away but his willingness to focus on the opposition's strengths should leave Arsenal better equipped to avoid being exposed as they have of late. The challenge facing Emery is to retain the best bits of Wenger's reign - the commitment to youth development and the attractive football - while fusing it with a savvier approach to carry the club back up the table. He will need to do all of that while reliant on the club's new recruitment experts who have a modest budget to help close the gap on those above them. Left with an ageing squad that is short on world-class talent, it is a difficult assignment to say the least. Perhaps the biggest fear for Arsenal supporters right now is not that Emery is the wrong man for the job. Maybe it would be more accurate to state that he is the right man for the job, but one who has been appointed a little too late.